Is The Chevrolet Cruze A Coupe Or A Sedan? Well here’s something you don’t see every day: apparently, Chevrolet can’t figure out whether its recently-launched Cruze compact is a sedan or a coupe. 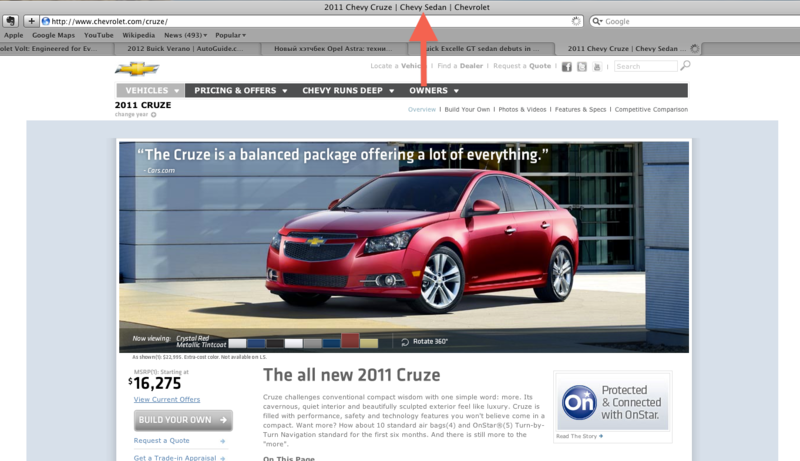 If you navigate to the Cruze landing page on the Chevy website (chevy.com/cruze), your browser will describe the Cruze as a Chevy sedan (as pictured above). 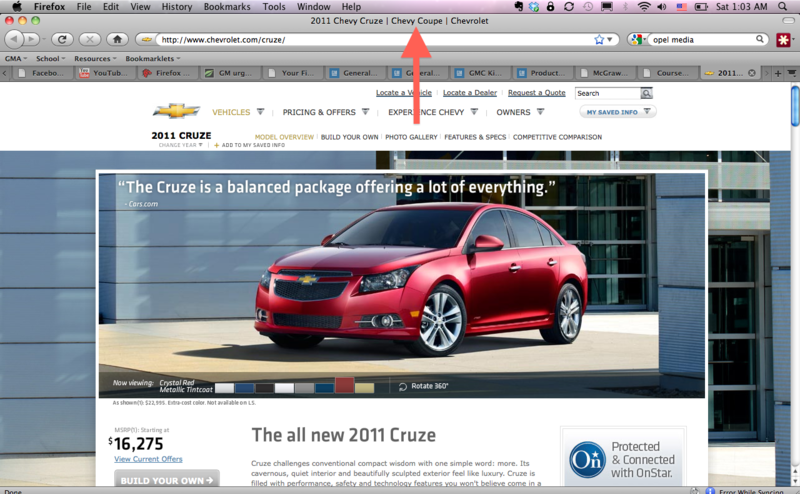 So far, so good… however, as recently as two weeks ago, the same webpage presented the Cruze as a Chevy coupe. If this leaves you rather perplexed, don’t worry – you’re not the only one. So is this a case of Chevy’s webmasters making a simple error in the website’s copy (by calling the Cruze a coupe) and – upon learning of the mistake – changing it to read “sedan?” Or is this a Freudian slip hinting that a Chevy Cruze coupe is indeed on its way? Yours truly hopes it’s the latter, since I would really love to see the Cruze be expanded into a range of vehicles analogous to Volkswagen’s Golf line. My dream Cruze range includes a sedan, wagon, 3- and 5-door hatches, a coupe, and perhaps a convertible. What do you think? Sound off in the comments below.